Definition at line 2063 of file lscript_tree.h. Definition at line 2066 of file lscript_tree.h. Definition at line 2071 of file lscript_tree.h. 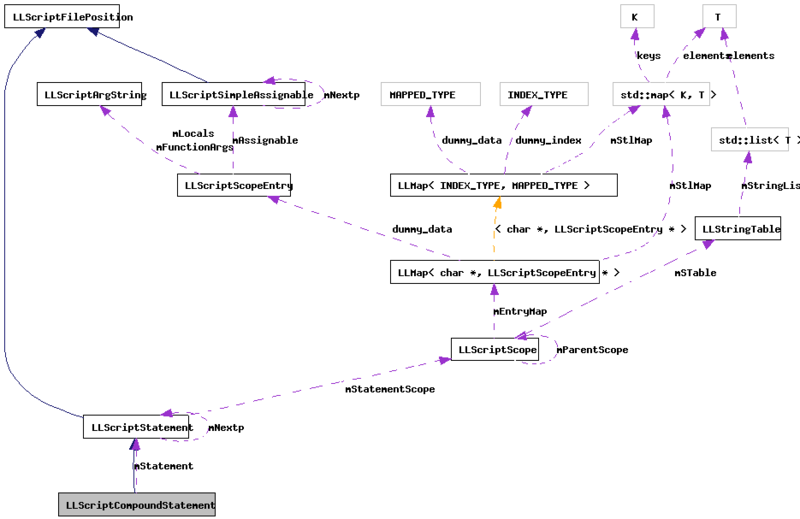 Definition at line 8643 of file lscript_tree.cpp. 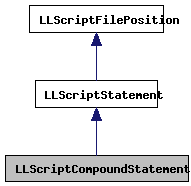 Definition at line 8648 of file lscript_tree.cpp. References LLScriptScope::addParentScope(), FALSE, LLScriptFilePosition::fdotabs(), gErrorToText, LLScriptGenerateErrorText::getErrors(), LLScriptStatement::gonext(), gScopeStringTable, LSCP_EMIT_ASSEMBLY, LSCP_PRETTY_PRINT, LSCP_PRUNE, LSCP_SCOPE_PASS1, LSCP_SCOPE_PASS2, mStatement, LLScriptStatement::mStatementScope, and NULL. Definition at line 2078 of file lscript_tree.h.